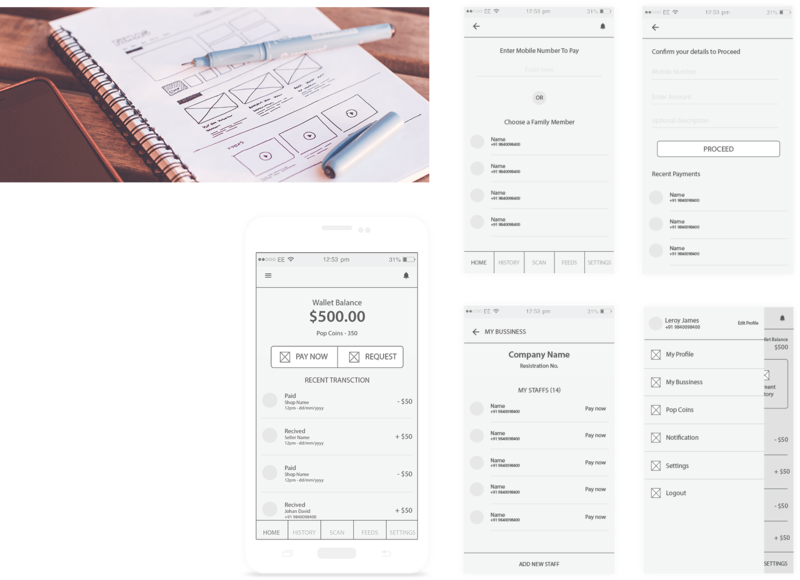 Roamsoft developed an excellent digital payment solution in the business world, PopPay with mobile-friendly features, well documented API s, plug-ins that suits all major E-commerce platforms. Roamsoft helped us to develop a payment solution that will make it simple and workable for its users to complete their daily transactions without having to reach for their physical wallets. After effectively testing our backend, PopPay is presently prepared to offer its clients, a protected and secure shopping knowledge for every one of their needs. Be it day by day needs, for example, to buy for an online ticket. 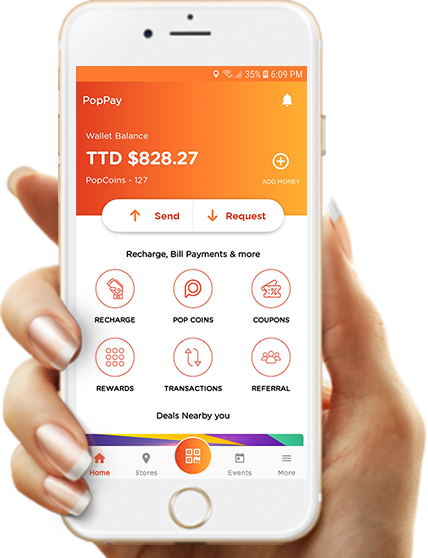 PopPay gives its clients a completely utilitarian service wallet to ﬁll their heart with joy to day lives simple and safe. 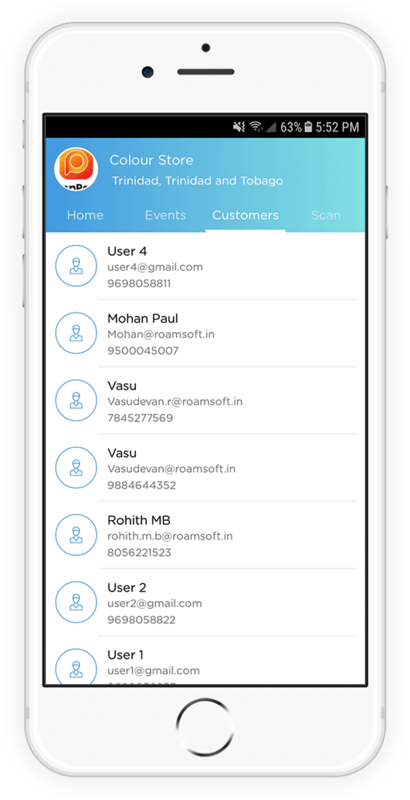 We make an application interface that makes an enthusiastic association with our Client's groups of onlookers. Our Design blended with your thoughts; make the clients become fall in love with each snap, tap, swipe, and squeeze. 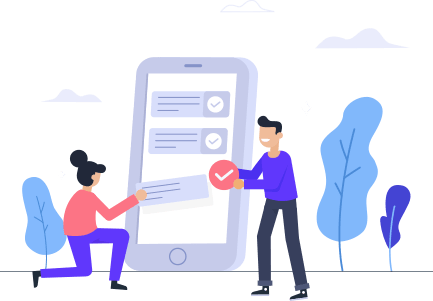 Our Team of Developers realizes what components clients require on their gadgets and how to spread them out for them to act normally and on cue. Merchant App is packed with features like receive payment, send pop coins, sales report, view invoices, History, customers. Pop coin is a major feature that helps the merchant to transfer the pop coins purchased from admin to customers who have done any transaction with them. Pop coins help the merchant to promote marketing and ability to build a consumer relationship database. 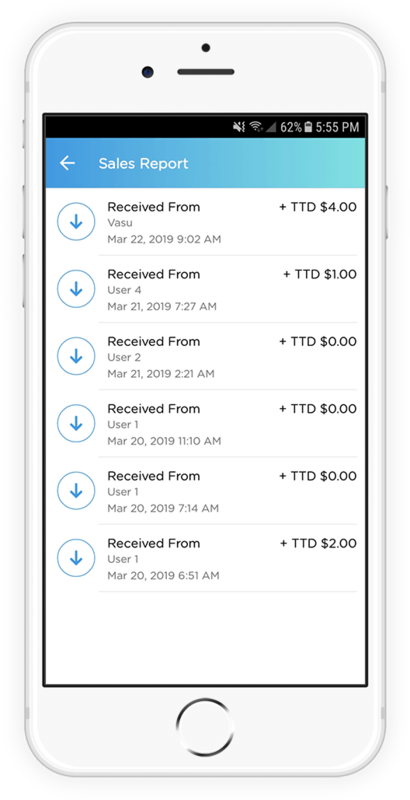 We provide an excellent customer app packed with features like Pay Now, Request, Recent transaction, Nearby, Notification, Events, QR code scanner, Transaction History, My wallet, My beneficiary, Pop coins, Settings, My profile etc. 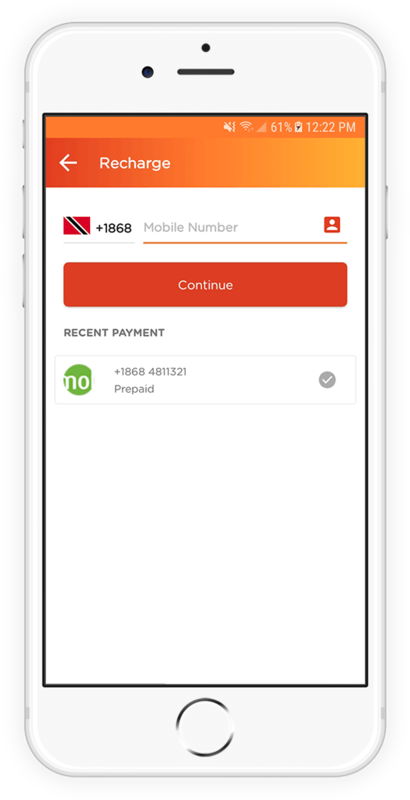 Pay now option is used to transfer money from one registered PopPay customer to another, by providing the mobile number and the amount needed. Merchants can offer a special reward program to their customers while purchasing. The Rewards Program has been designed keeping in mind customers preferences and lifestyle. 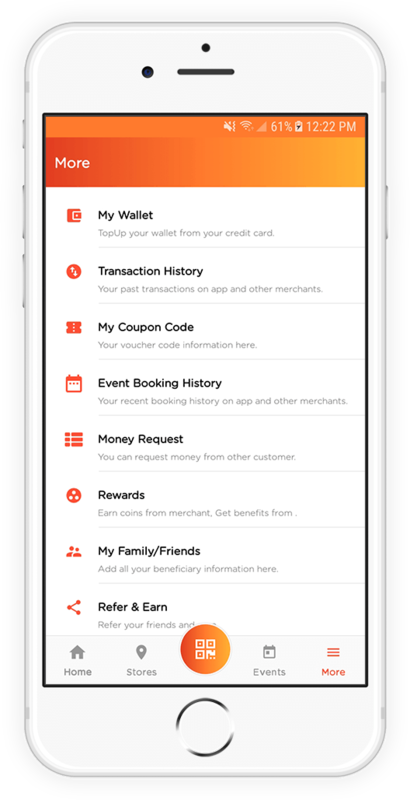 Every time they use their PopPay app to shop, travel and dine or more, they can earn rewards points on the amount they spend. Based on the amount spent they can earn reward points which can be redeemed later. 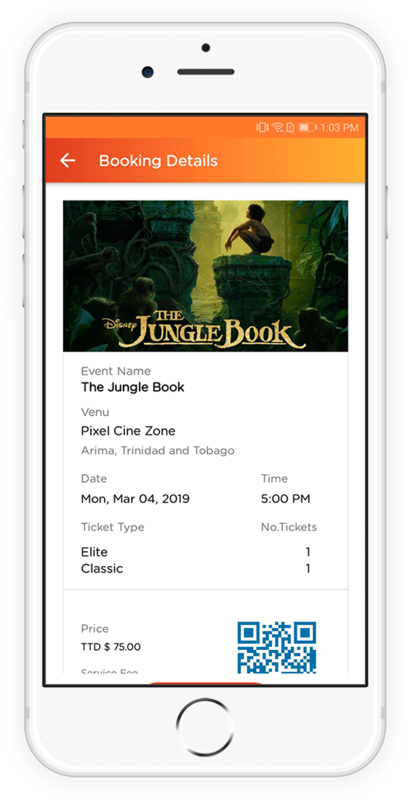 Customers can book a ticket for the events posted by the merchant just by scanning the QR code and PopPay customers will get instant notification if any Feeds been posted by the merchant. 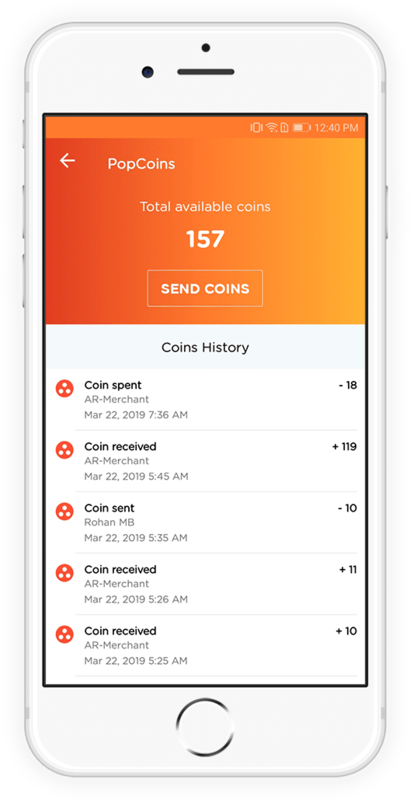 Merchant's sales statistics, recent customer purchase list, recent transactions list, recharged coins, reduced coins, total customers and total sales are listed in the Merchant's dashboard. The agent can Top-up for the PopPay customer by providing the mobile number registered with PopPay and the amount needed to be recharged, from the seller’s available amount balance. We provide a developer-friendly API for integration. Good practices are provided for making your API friendly to integrate and appealing to developers, encouraging development for your platform.